At this week’s NBAA-BACE 2018 show in Orlando, Exceaire, a division of IMP Group, celebrated 25 years as the exclusive Authorized Sales Representative (ASR) for Cessna Citation jets in Canada. In addition to being an ASR, Execaire has been a Cessna Authorized Service Facility (ASF) for more than 40 years. 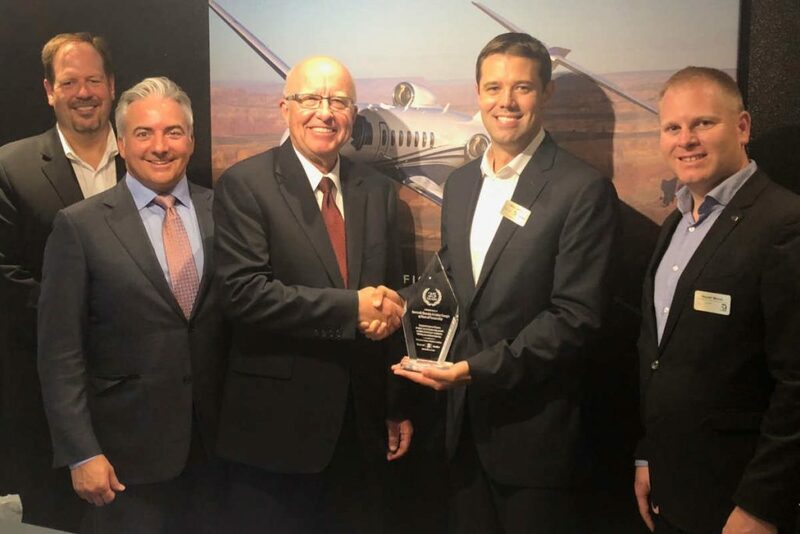 On October 16 at the Cessna static display during NBAA-BACE a plaque recognizing the long-time Execaire-Cessna partnership was presented by Steve Sperley, vice president of sales for Textron Aviation, to Ray Kuliavas, vice president of sales, Execaire.